Testimonials can be quite like Facebook — everyone puts their best foot forward and selected quotes usually only highlight a company in the best possible light. As a result, many people skip over them. However, testimonials DO matter. 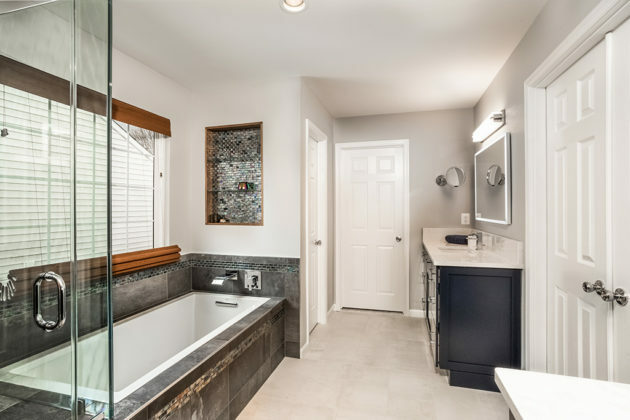 Before you spend your hard earned dollars on a remodel, take a few moments to review testimonials to ensure you’ve found the perfect fit for your renovation partner. It might sound simple, but do the testimonials sound like they came from a real person? If they focus on the experience, and not just the end product, it’s a safe bet the client felt cared for during the process. Are there photos or videos of actual people on the website? 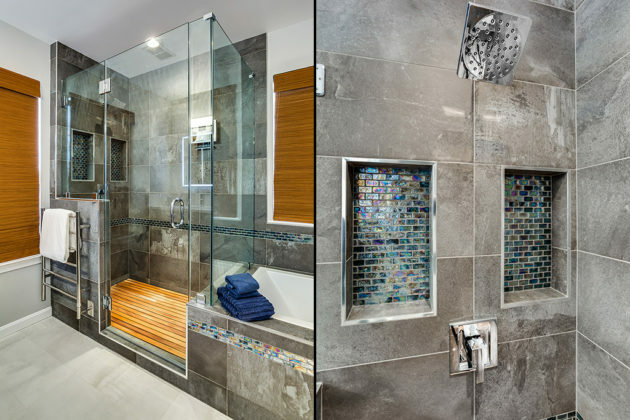 Homeowners who had a great experience are usually willing to share their experience. 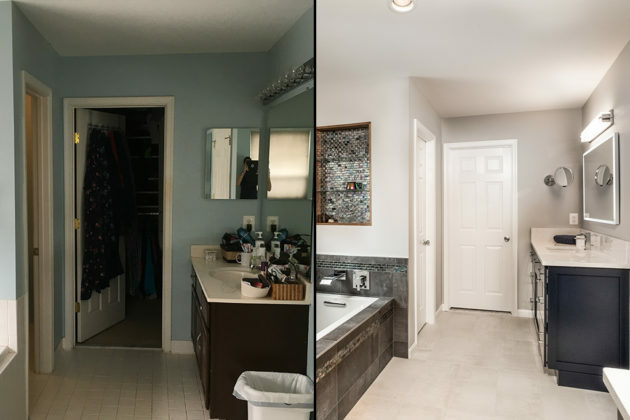 Are before & after photos available and are they consistent with testimonials? If not, time to move on! Watch video testimonials — they are a great way to hear personal stories and opinions from genuinely satisfied customers. 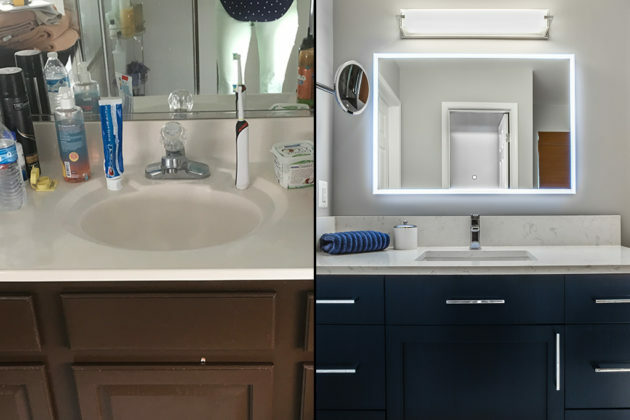 Our featured Reno of the Month is a recently completed Master Bath and was the second remodel we completed for this client, having remodeled their kitchen a few years ago. 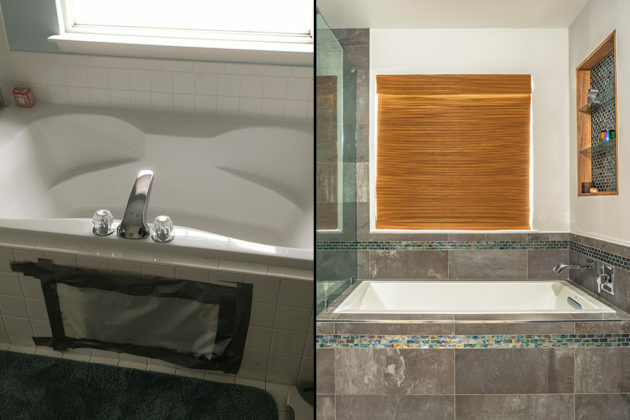 Our clients had long dreamed of a sleek, stylish retreat that would transport them out of the builder-grade, basic-white Master Bathroom they had for many years. 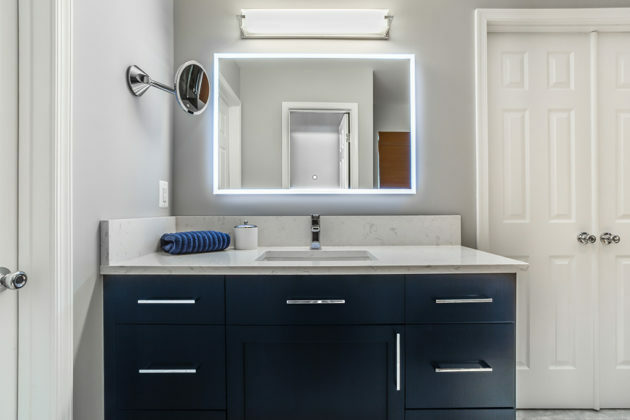 While the footprint of the new bathroom mimics the old layout, the streamlined fixtures and materials bring new energy to the space and now truly reflect our clients’ modern tastes. 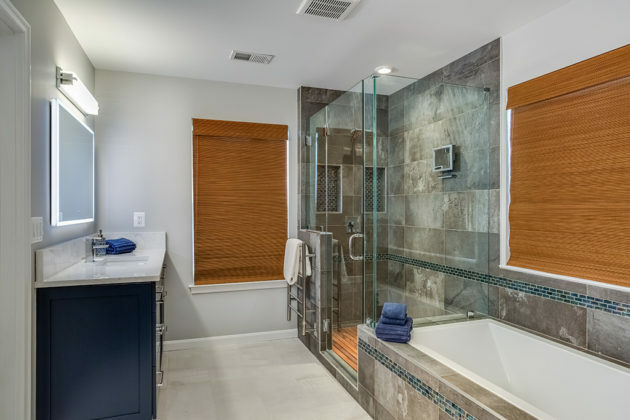 Luxurious touches include back-lit vanity mirrors, a heated towel rack and a custom, teak-wood shower floor mat. 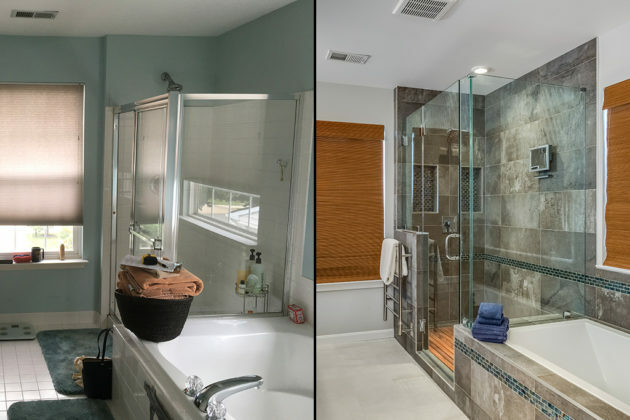 We treasure the trust our clients put in our team and feel fortunate to work on multiple projects for their family as needs change. Let them tell you in their own words why us. 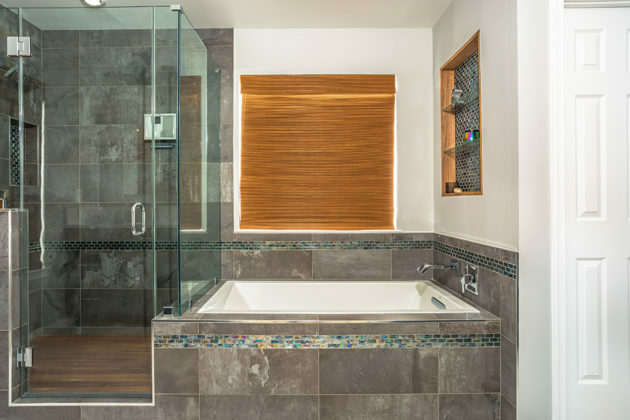 Synergy believes partnership is the only way to go to ensure the remodeling journey is as fun as the destination. Our testimonials reflect our commitment to customer service and why, for us, it is not just a practice, it’s the driving force behind everything we do.